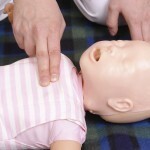 Are you attending one of our upcoming BLS CPR Classes? Do you want to be prepared? Here is a way you can study before your upcoming class or to review your skills after the course. 3. 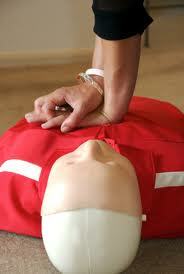 Check to see if the victim is breathing by looking at their chest. If they are not breathing, or not breathing normally (only gasping), call 911. 5. If no pulse, start with 30 chest compressions on the lower half of the breastbone. 6. The rate should be at least 100 compressions per minute, but not more than 120. 7. Open the airway and give 2 breaths using a pocket mask or bag valve mask. 8. Continue 5 sets of 30 compressions and 2 breaths until the ambulance arrives to take over, the AED arrives, or you are too tired to continue. 3. Check to see if the child is breathing by looking at their chest. If they are not breathing, or not breathing normally (only gasping), call 911. If you are alone, perform CPR for 2 minutes, then call. 5. If no pulse, begin 30 chest compressions on the lower half of the breastbone with one or two hands. 3. Check to see if the baby is breathing by looking at their chest. If they are not breathing, or not breathing normally (only gasping), call 911. 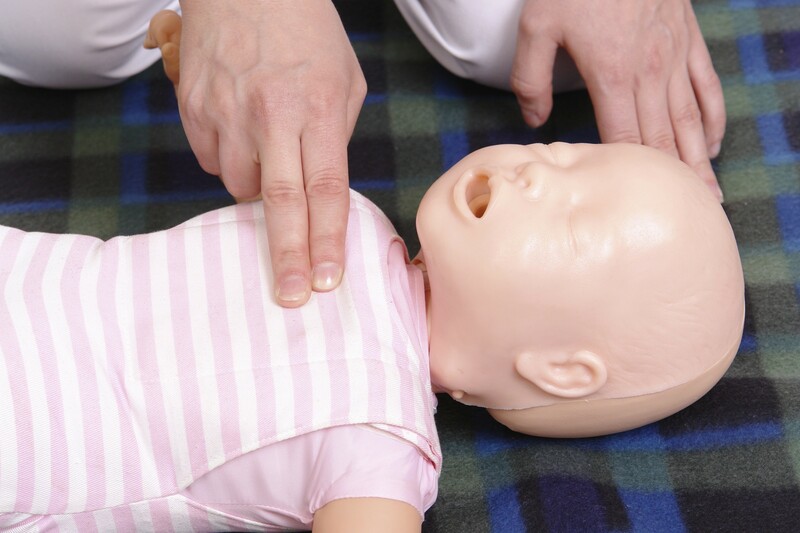 If you are alone with the baby, perform 5 sets of 30 compressions and 2 breaths, then call. 4. Check the brachial pulse on the upper arm closest to you for 5-10 seconds. 5. 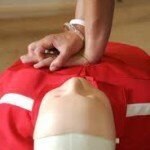 If no pulse, start with 30 chest compressions using 2 fingers on chest. 6. The rate should be at least 100 compressions per minute. Learn how to use an AED in the AHA BLS class. 2. 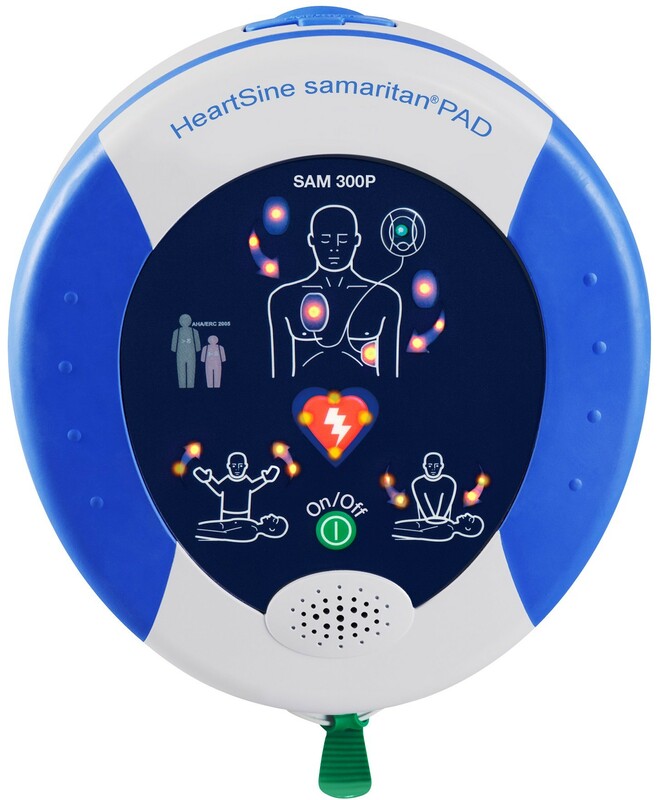 Attach the AED pads to the victim’s bare chest. 6. Immediately resume CPR. After 5 cycles the AED will prompt you to repeat steps 3 and 4. AED use on a child: Same steps as above except use child CPR pads. If you do not have child CPR pads, use the adult pads. 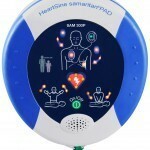 AED use on an infant: A manual defibrillator is preferred to an AED. You should use infant pads if you need to use the aed on a baby. An advanced airway is the use of a laryngeal mask, supraglottic or endotracheal tube. When you use an advanced airway, you do not stop compressions to give breaths like you do during 2 person CPR. Give one breath every 6-8 seconds and there should be no pause in chest compressions for delivery of breaths. If an adult, child, or baby has a pulse but is not breathing properly, you should perform rescue breathing (breaths but no compressions). Infants: Give 1 breath every 3-5 seconds. Note for infants and children: If the pulse is less than 60 beats per minute with signs of poor perfusion, start CPR. 1. Stand or kneel behind the victim and make a fist above their navel. 2. Grasp your fist and perform abdominal thrusts using quick upward thrusts. 3. Repeat until object comes out or victim becomes unconscious. 1. Kneel or sit with the infant on your lap. 2. Hold the infant facedown, resting on your forearm. Support the infant’s head with your hand. 3. Deliver 5 back slaps between the infant’s shoulder blades using the heel of your hand. 4. Support the baby’s head and flip them over while supporting their head. Give 5 chest thrusts over the lower half of the breastbone. 5. Repeat until object comes out or baby becomes unconscious. If baby becomes unconscious, start CPR.